Safe and stable housing is a critical resource for survivors of human trafficking as they exit their trafficking situation and continue their journey towards healing and reintegration. As service providers, we often rely on emergency housing resources such as domestic violence and homeless shelters to meet the immediate needs of survivors. However, these are often short-term options that leave survivors homeless once their stay has ended. As victim service providers, we have an opportunity to expand current referral systems and build connections with housing and homeless services. To advance these efforts, the Freedom Network Training Institute (FNTI), with support from the Office for Victims of Crime (OVC), has launched the FNTI Housing Training and Technical Assistance Project. The project provides professionals training on housing services and accessing long-term housing resources for survivors. Trainings, in the form of webinars and in-person trainings, are designed to equip service providers with a stronger understanding of housing related topics including: assessing a survivors housing needs, accessing HUD funded programs, promising practices for collaboration between housing providers and trafficking programs, among others. Additionally, FNTI’s Resource Library contains resources including: fact sheets, videos, and templates for providers to access practical tools and respond to the individual needs of survivors in a victim-centered, trauma-informed manner. The Resource Library can be accessed at freedomnetworkusa.org/resourcelibrary. To learn more about this project, visit freedomnetworkusa.com/housing.  For inquiries, you can reach out to Karen Romero at karen@freedomnetworkusa.org.